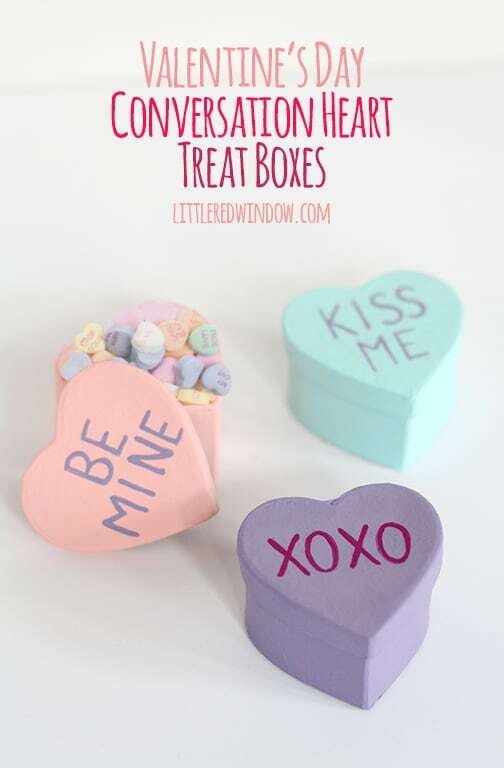 Make your own cute little Conversation Heart Treat Boxes in a just a few minutes! 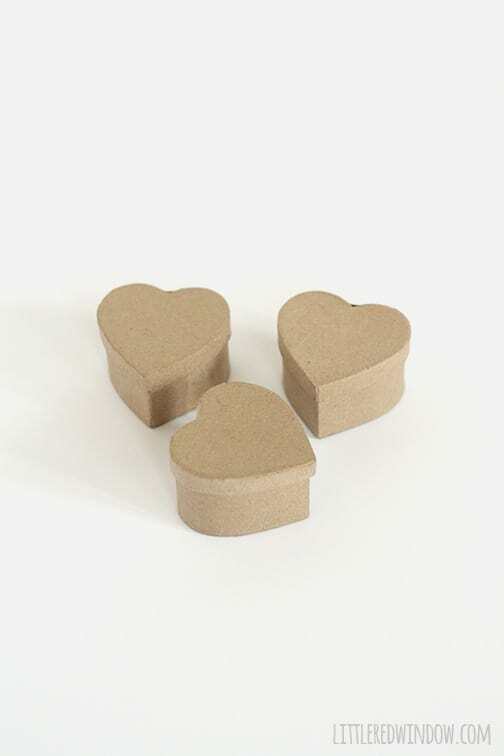 The other day I was wandering the craft store with O, he was happily entertained with snacks and his favorite train and I was searching for Valentine’s Day inspiration when I ran across these little paper mache heart boxes. I love using this material for crafting because it’s sturdy and takes paint so well. So I grabbed three not sure quite what I was going to do with them. Until later when i realized, hey, the shape of these is totally like conversation heart candy! And then I thought you could use them to hold said candy and that would be super adorable! Now O’s school won’t allow candy treats for the classmates (thank goodness says this food allergy-mom) but these will be cute to set by his plate for lunch or send to work with Aa as a little snack. And they’re so easy to make, you barely need a tutorial. But I made you one anyway. Happy Valentine’s Day! 2. 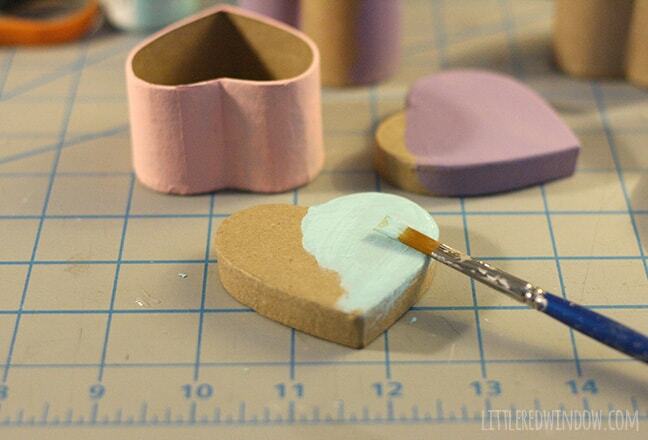 Give each box two coats of craft paint in conversation heart candy colors. I chose pink, blue and purple. I did not paint the inside because I knew I’d be putting candy in there. 3. 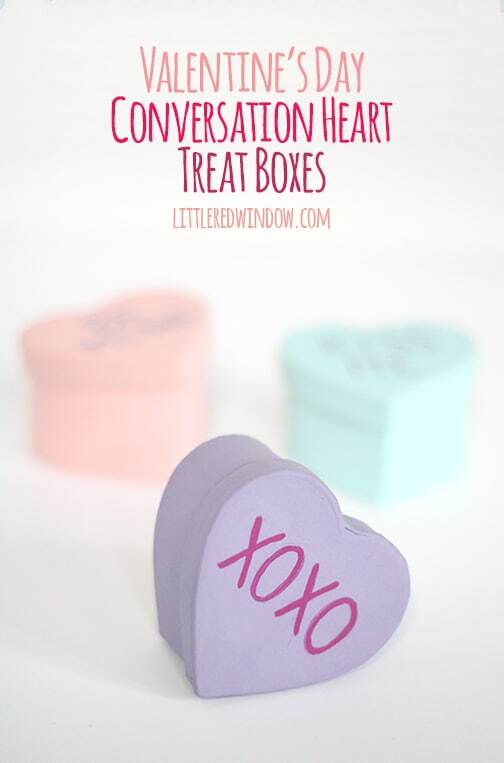 Using a teeeeny tiny brush and a steady hand, write conversation heart candy phrases on each box. They should take up most of the heart just like they do on the candy, I made mine too small at first and it didn’t look right! When they’re dry, you’re done! No protective top coat on these, the chalky finish of acrylic paint looks just like the chalky texture of the real candy so leave it that way! so cute and simple!! I love it!! Oh my goodness, these are adorable! I love this idea for gifting Valentine’s! I’m featuring these at today’s Creative Spark party. Thanks for linking up last week; hope you’ll join us again today! 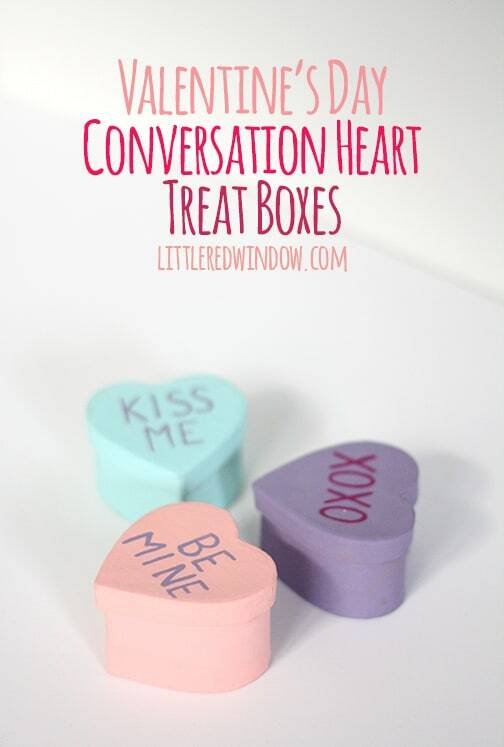 Love these converstaion heart boxes! Thanks for sharing at The Pin Junkie! 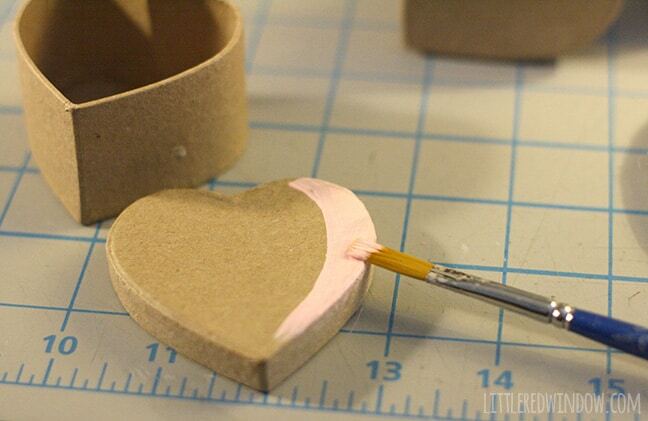 They’re part of today’s Valentine craft roundup! 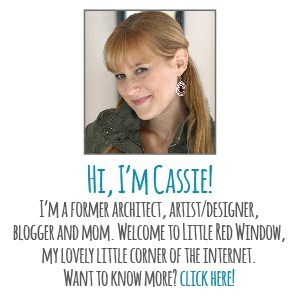 Pingback: Frugal Crafty Home Blog Hop #113 - The Casual Craftlete - Craft. Cook. Run. What a cute way to present a gift or candy for Valentine’s Day. 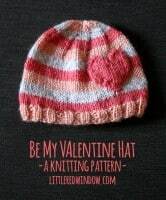 Would love if you shared this on the Spring Craft Blog Hop.